Every week I absolutely love putting these posts together. It's like window shopping and an excuse for me to look on all the online shops to see what new goodies are in stock each week. 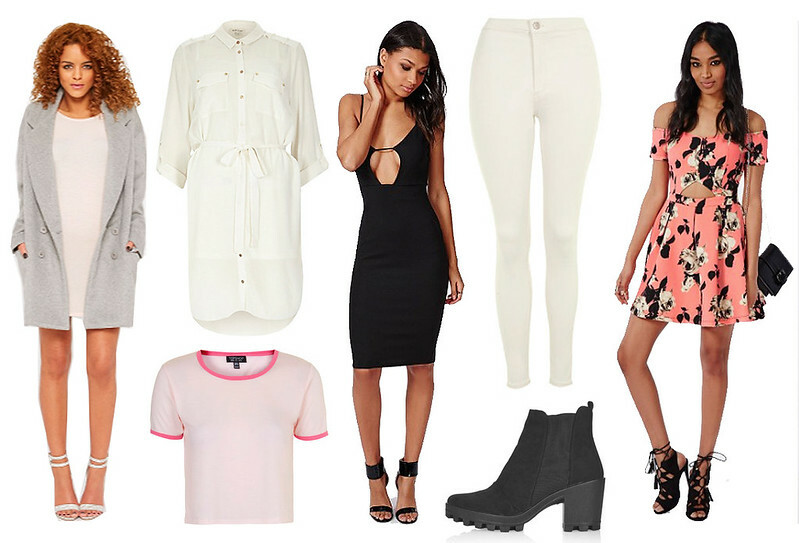 If you haven't caught up with last weeks high-street picks you can check the post out here. At the moment on the high-street it's all about boyfriend coats. Boyfriend coats are obviously not the thickest of jackets which makes them perfect for the weather at the moment. The suns been out a bit this week this means spring is on it's way! Shirt dresses seem to be the biggest trend at the moment and this one from River Island is perfect. The next thing on my wishlist is this pair of jeans from Topshop look so great for spring and summer!